(CNN) This is not a drill. So what should you do first? First of all, don’t panic. There are many steps you can take to protect yourself, your loved ones and your property. 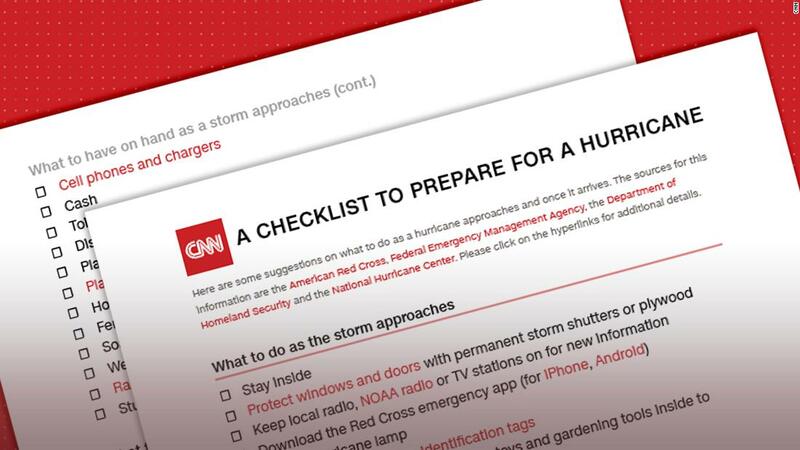 Here’s a checklist to help you get started, with tips from the American Red Cross, Federal Emergency Management Agency, the Department of Homeland Security and the National Hurricane Center. Read it in full below or download the PDF, which contains links with more details. For anyone in the path of a hurricane, we encourage you to consult these online resources to help stay safe.